The Alabama Crimson Tide won its fifth national championship in nine years last night in Atlanta over the Georgia Bulldogs in the unlikeliest of ways. 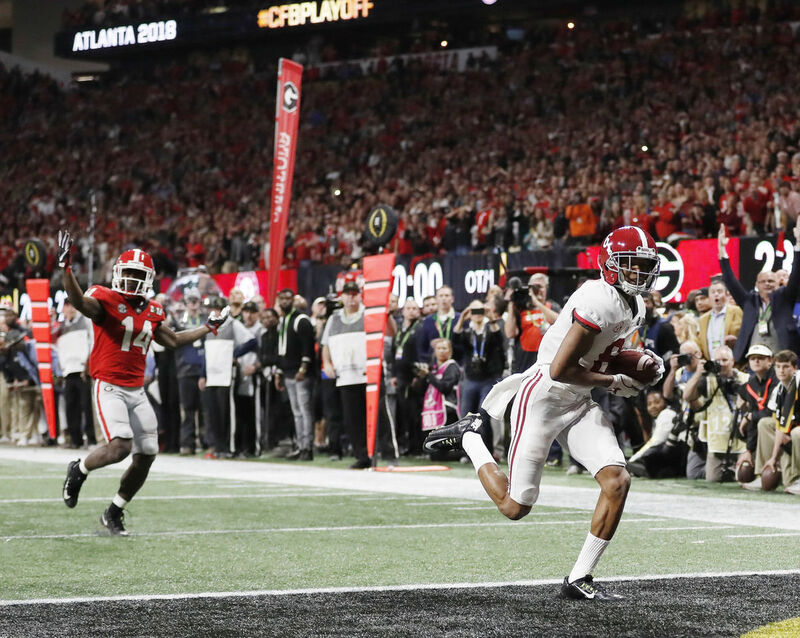 Down by three points in overtime, with a freshman quarterback at the helm on a second-and-26 from the 41-yard line, Tua Tagovailoa became an instant Tuscaloosa legend when he found fellow frosh DeVonta Smith in the end zone for a walk-off national title touchdown. It was perhaps coach Nick Saban’s most craftily orchestrated win in his storied career. He replaced ineffective starter Jalen Hurts after halftime with the true freshman, and it was a mammoth gamble that paid off. 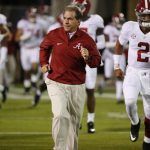 With his sixth national championship, Saban is now tied with Alabama legend Bear Bryant for the most titles in the poll area. 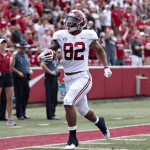 The Tide’s 26-23 win was also a major touchdown for sportsbooks. The general consensus had Alabama the favorite at around 3.5 to four points. With most oddsmakers taking more money on Saban’s squad, and Alabama failing to cover, the sportsbooks wrote their own victory. At the Westgate SuperBook, Alabama was giving Georgia four points before kickoff. 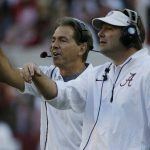 According to oddsmaker Jeff Sherman, 64 percent of the tickets and 74 percent of the money was on the Tide. Tagovailoa’s game-winning pass to Smith in extra minutes highlights just how important a single extra point kick can be. Should the PAT have been successfully kicked, which of course it wasn’t as the game was over, the Westgate tickets with Alabama spotting Georgia four points would have cancelled out. The general consensus among Las Vegas sportsbooks had Alabama a four-point favorite. The link shrunk to 3.5 points at a few locations after some late action on Georgia. After #1 Alabama, the top 10 in the final AP poll goes Georgia, Oklahoma, Clemson, Ohio State, UCF (who garnered four first-place votes for its perfect 13-0 season), Wisconsin, Penn State, TCU, and Auburn. Jimmy Vaccaro, the famed Las Vegas bookmaker who runs the South Point Casino sportsbook, said he took a $30,000 bet on Georgia that pushed his line down to Alabama -3.5. That half point was critical for the fortunate gambler who took the Bulldogs. But Vaccaro presumably still easily came out on top last night. He told ESPN on Monday that South Point had taken a pair of bets totaling $563,000 on Alabama to win $300,000. Caesars said that while 65 percent of its slips were for Georgia, 54 percent of the money was still on Alabama. 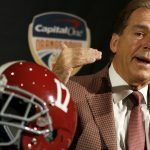 CG Technology said almost six times more money was bet on the Crimson Tide than the Bulldogs, and William Hill saw 63 percent of the money on Bama. Last night’s College Football Playoff National Championship won’t ever be forgotten by Alabama fans, and likely not by Georgia fans, either. But in Las Vegas, oddsmakers have little time to reflect, and are already looking forward to next season. The early odds for next year’s NCAA football championship favor Alabama repeating, with the SuperBook opening their line at 5-2. Clemson is next at 6-1, followed by Ohio State and Georgia (8-1), Michigan (10-1), Penn State (12-1), and Oklahoma (18-1).